While electricity consumption on Australia’s dairy farms may not have increased by much in recent years; electricity charges have – an added and very unwelcome pressure. According to an article on Business Spectator by Keith Orchison, small farms are now spending up to $75 a day powering dairies compared to between $20 and $45 five years ago. Large dairy farms are shelling out up to $300 daily compared to $50 and $150 in 2010. Many farmers have considered installing solar panels given the extensive shedding found on most properties – in fact, 4 in 10 have according to Mr. Orchison. But it seems many have been put off by what they perceive to be a large capital outlay and/or the payback period for solar power systems. However, things change fast in the solar industry. Not only has the pricing of components fallen dramatically; options for acquiring a system have evolved and in some cases, no payment is required up front thanks to innovative programs. US solar giant SunEdison was the first solar energy provider in the world to develop the solar Power Purchase Agreement (PPA). A solar PPA option is now also available in Australia through leading commercial installer Energy Matters, which was acquired by SunEdison last year. A solar PPA is a long term contract to purchase electricity generated by a solar panel system installed at a premises. During the contract period, the system is owned, insured and maintained by SunEdison – the farmer just pays for the electricity generated, which is charged at agreed prices for the duration of the contract. Another option is a solar lease, where a fixed monthly amount is paid for all the electricity generated by a solar power system. Both options provide dairy farmers with future certainty concerning electricity expenditure. While both a PPA and a solar lease arrangement involve zero capital outlay; which is the best option will vary from farm to farm. Energy Matters’ commercial team can advise on the better option based on a farmer’s installation scenario and circumstances. 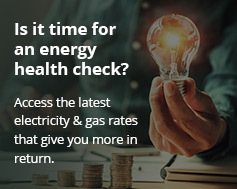 Energy Matters’ Commercial Sales Team can be contact on 133 SUN or via commercial@energymatters.com.au for further details. Energy Matters was Australia’s no.1 commercial solar provider in 2014, having installed more capacity in the 10-100kW range than any other installer in the country.